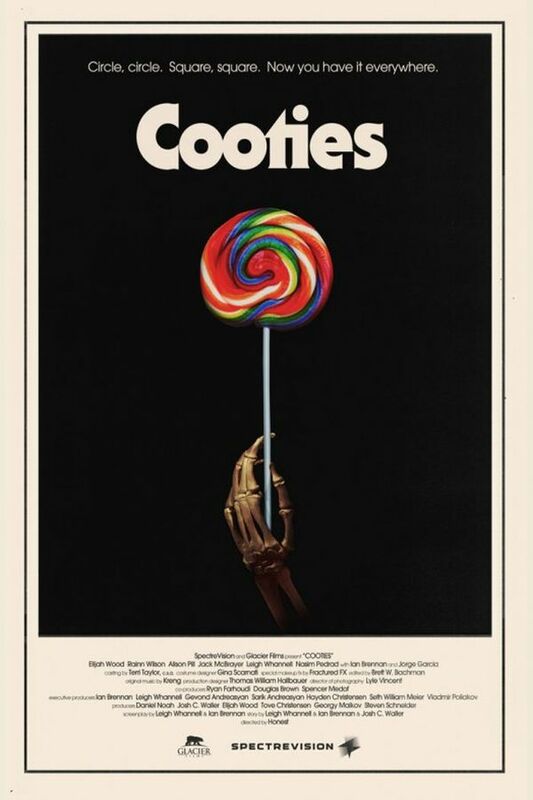 Cooties font here refers to the font used in the poster of Cooties, which is a 2014 comedy horror movie directed by Cary Murnion and Jonathan Milott. The font used for the movie title in the poster is probably ITC Serif Gothic, a decorative geometric typeface with tiny serifs. You can view more details about it here. In addition to Cooties, ITC Serif Gothic typeface is also used in the following logos, movie posters or album covers etc., including: Beautiful Lies (Birdy), Stories Untold, The Last Jedi, Here Comes the Devil, The Boat That Rocked, The Force Awakens, Halloween (1978 film).